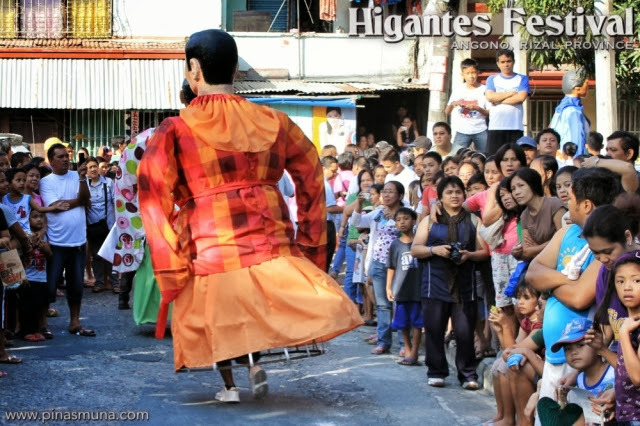 Higantes Festival of Angono, Rizal Province has become one of the most famous Philippine festivals because of its colorful and adorable paper-mâché giants locally called higantes. 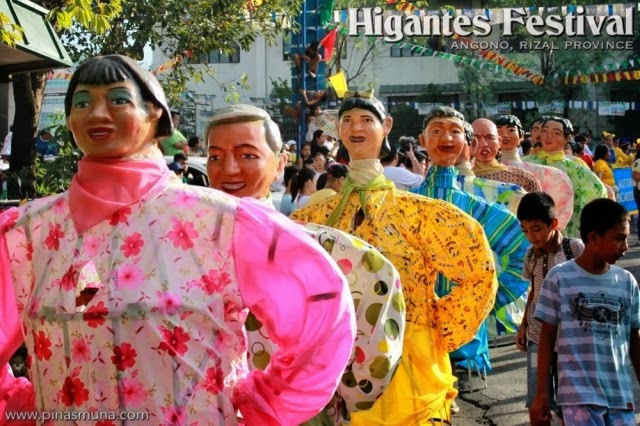 Angono's higantes, each towering at ten to twelve feet tall, will once again parade the streets of the town this coming November as Angono celebrates the Higantes Festival 2013 in honor of its patron saint, San Clemente. 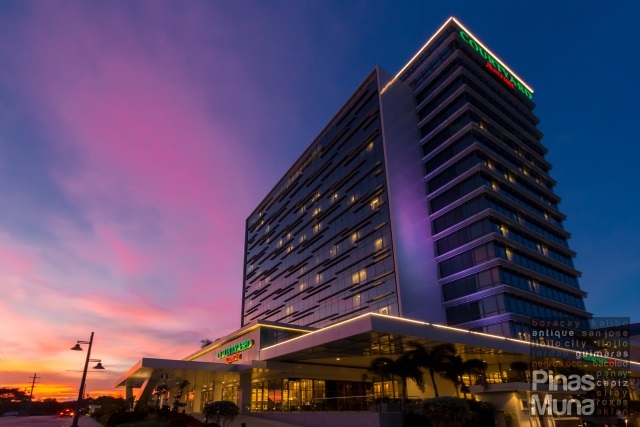 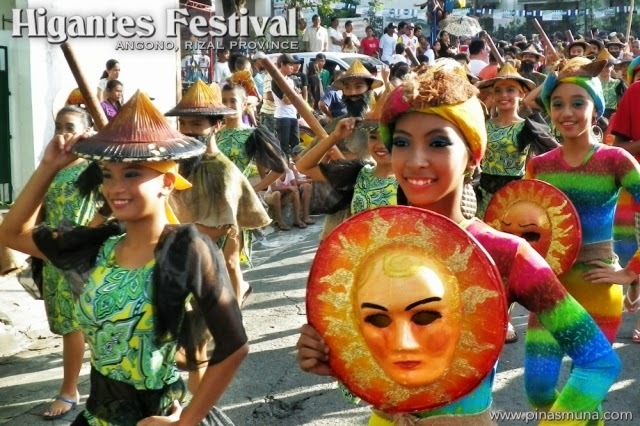 Highlight of the festivities is the Higantes Grand Parade scheduled to take place in the morning of November 17, 2013, as confirmed by the Angono Tourism Office. 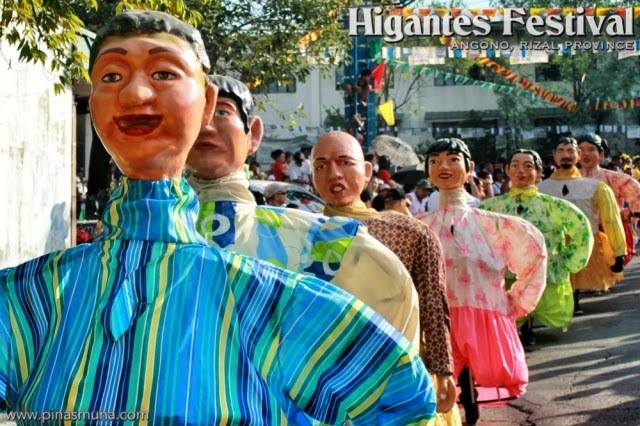 Every barangay will send an army of higantes accompanied by a marching band. 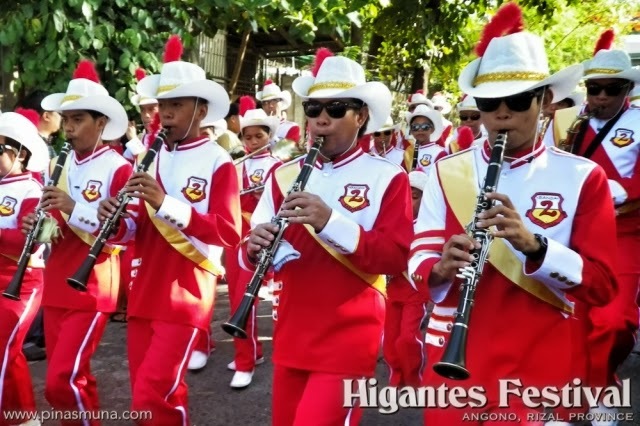 The parade will start in front of Angono Elementary School passing through the town's residential streets, and will end at the municipal plaza. 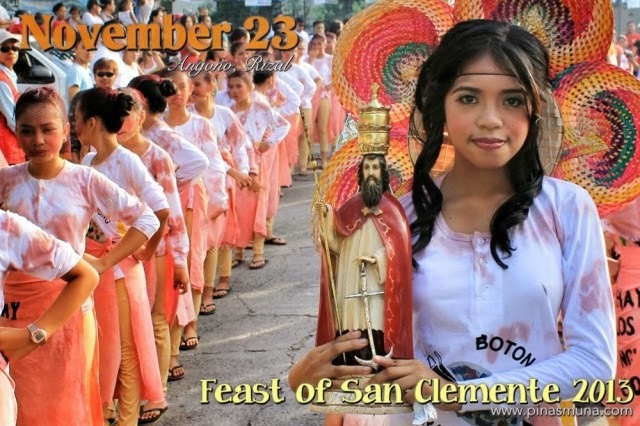 Another highlight of the festivities is Angono's Town Fiesta to be celebrated on November 23, 2013, the Feast Day of San Clemente. Residents line the streets awaiting the procession of the image of San Clemente immediately followed by a fire truck sprinkling water to the town's people. 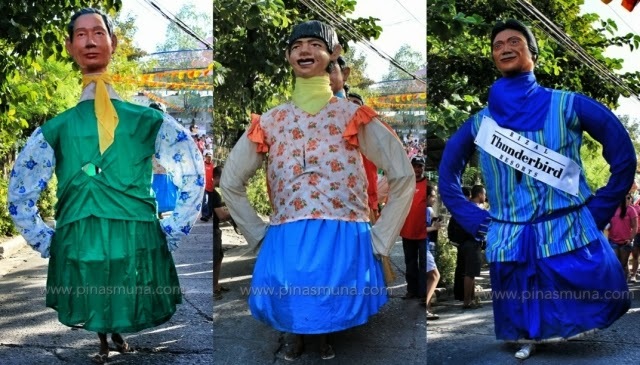 The locals believe that they would receive blessings when they get wet during the procession.